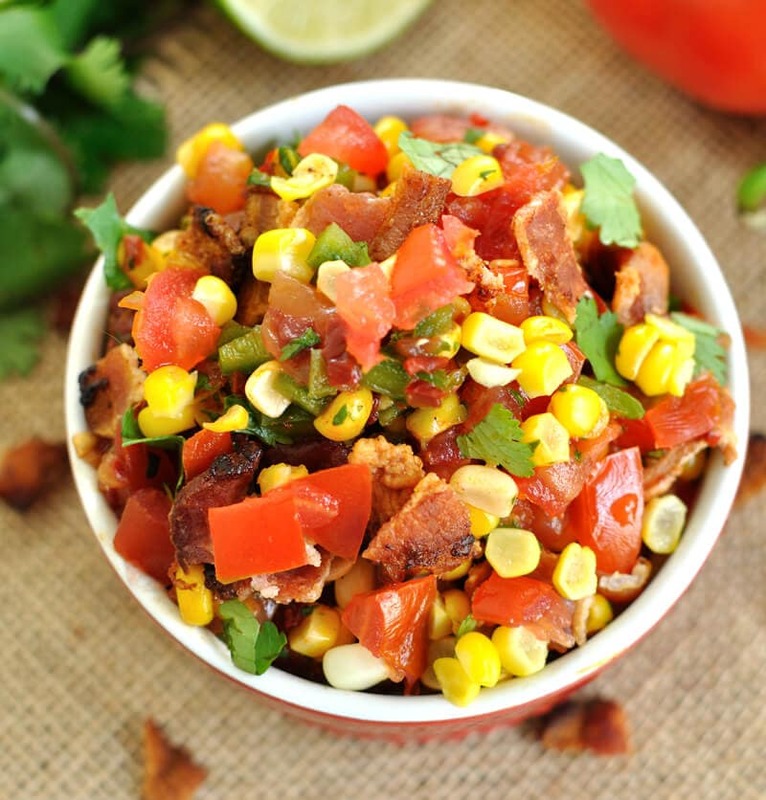 Fresh summer salsa gets a kick with the addition of chipotle peppers and a nice crunch from crumbled bacon in this chipotle bacon and corn salsa recipe. And what goes well with salsa? Chips of course, but so does guacamole. Or how about some guacamole chips? Yep, guacamole chips are a thing and they are made by Food Should Taste Good. 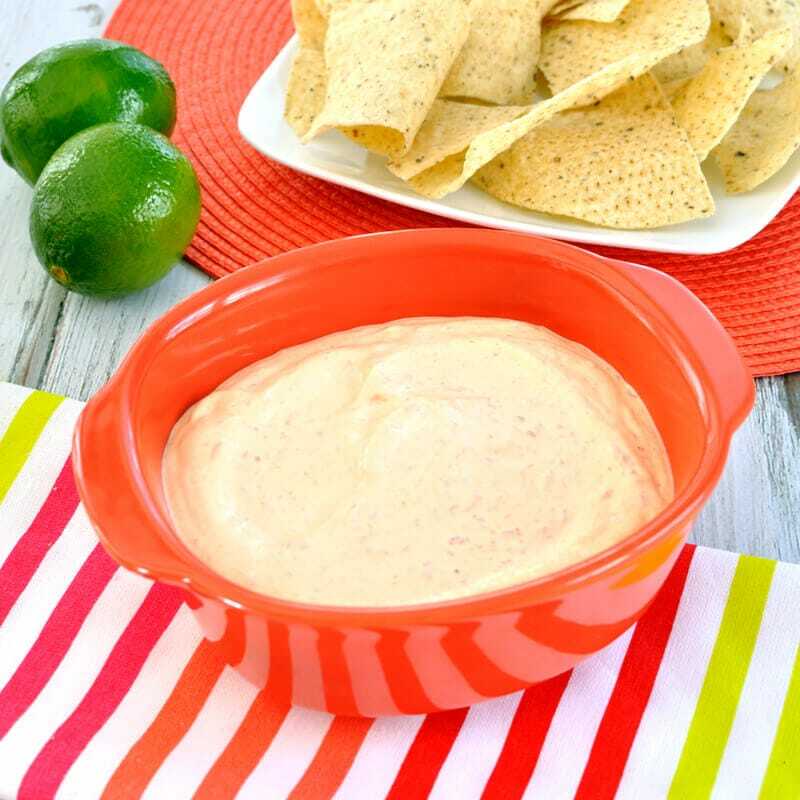 I first fell in love with these guacamole chips at a friend’s house and after one bite, I began thinking about what dip I could create to pair with them. 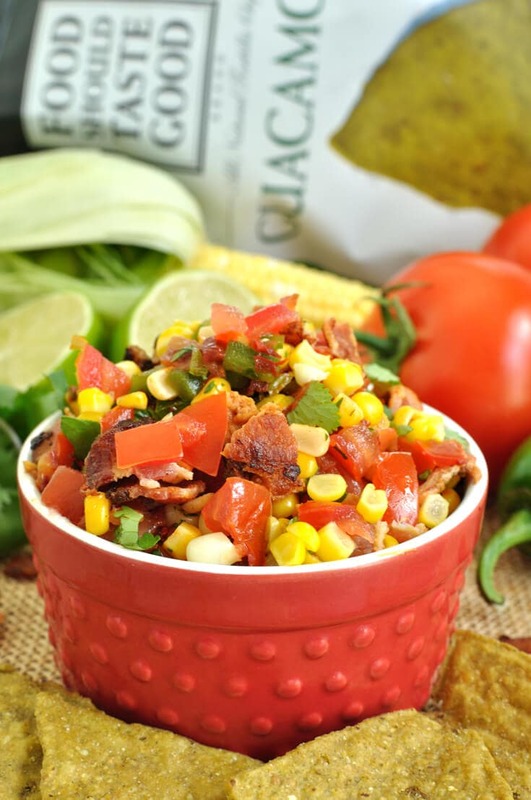 These chips resemble guacamole in color and incorporate cilantro, real avocados, and serrano peppers as ingredients. 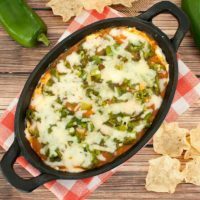 They do have just a touch of heat as well, but are not overly spicy at all. If you aren’t familiar with their products, Food Should Taste Good makes a variety of organic chips, crackers, and other snacks. 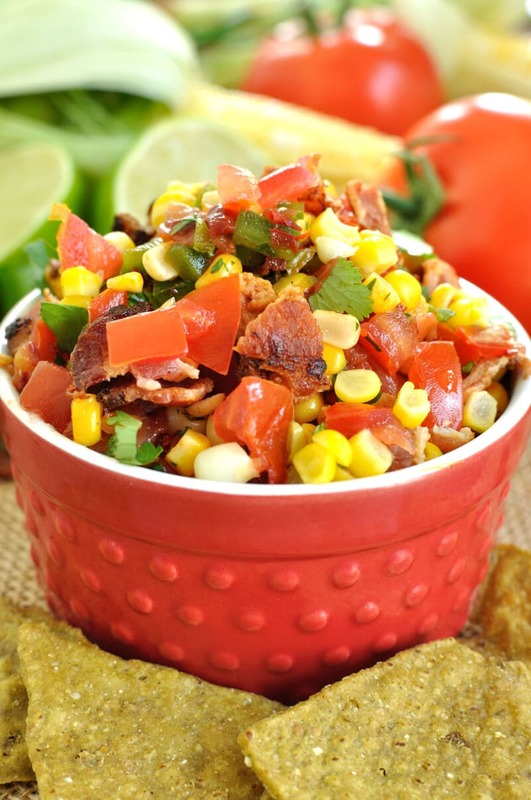 This chipotle corn and bacon salsa is the perfect appetizer for a backyard cookout or summer afternoon snack. 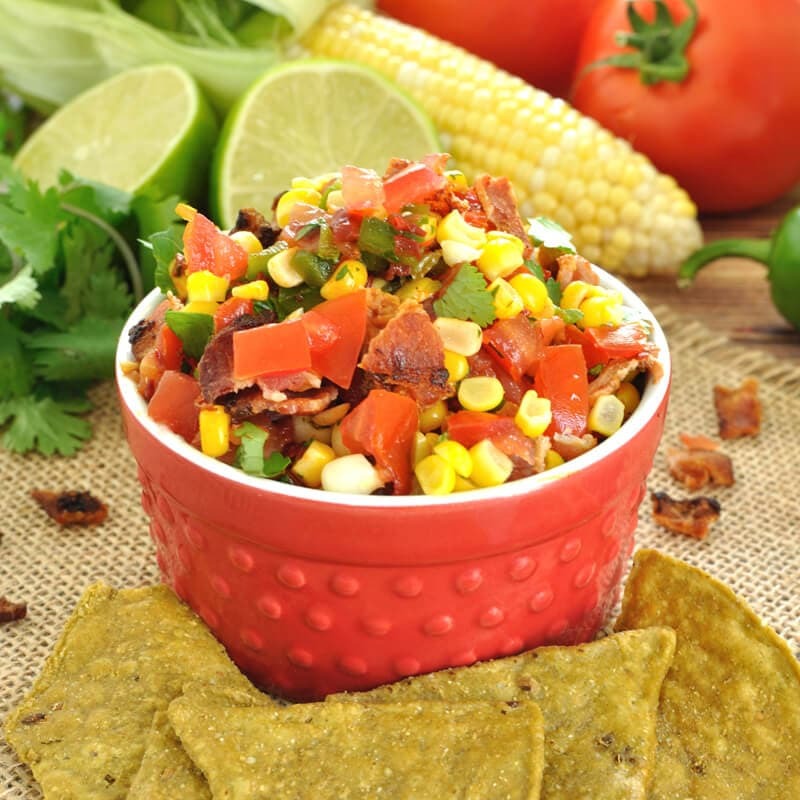 Fresh salsa gets a kick with the addition of chipotle peppers and a crunch from crumbled bacon in this chipotle bacon and corn salsa recipe. 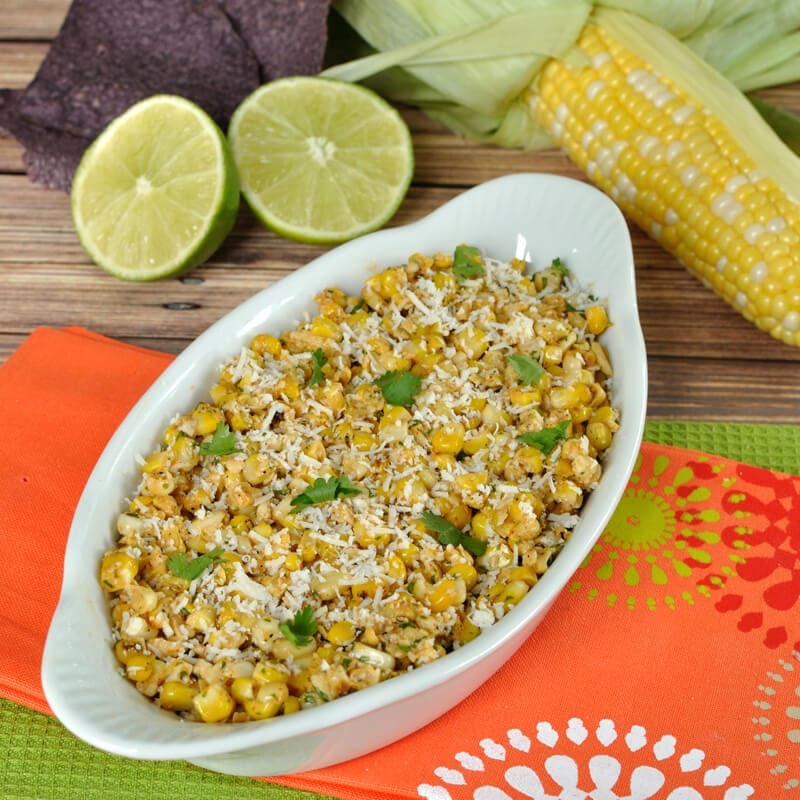 Great for parties, cookouts, or potlucks. Combine all ingredients EXCEPT the bacon in a medium bowl. Cover and chill until ready to serve. 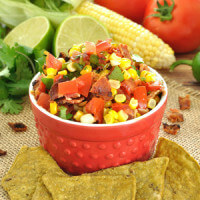 Store the crumbled bacon in a separate air tight container in the refrigerator and mix the bacon into the salsa right before serving. Otherwise, the bacon will lose it's crisp texture from the liquid in the salsa. Guacamole chips featured in this blog post were provided courtesy of Food Should Taste Good. All content and opinions are my own.